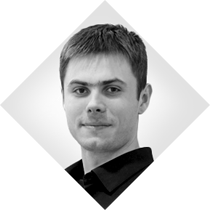 Dmitriy is a Frontend developer in SysIQ. He's focused on developing interactive and user friendly interfaces, that load and react really fast due to thoughtful website performance optimization. Dima's hobbies are also speed-supercharged - he loves skiing and riding motorcycles. One-day trip into the world of Frontend Web Development and Design Essentials for those interested in current trends and a Frontend-related career.